David Orchard is a fourth generation prairie farmer. The century-old Orchard farm is located at Borden, Saskatchewan, where his father was born in the log house on the homestead built by his parents and grandparents. David's father, Ralph Orchard, was an active member of his community, serving on numerous school, church and community boards. His mother, Margaret Anna (nee Ballard), also born on a pioneer Saskatchewan homestead, graduated near the head of her nursing class and served overseas during World War II on the Italian front. Orchard completed his high school in Borden, Saskatchewan, and then went on to study first in the Faculty of Arts and Science, and then Law, at the University of Saskatchewan in Saskatoon. After completing his first year of law, he undertook a working tour of a dozen countries across the globe, before taking over the family farm. Constitutional law professor, Howard McConnell, later wrote of his former student: "Although Orchard decided not to pursue further law studies, he finished easily in the top ten percent of his first year class." Orchard later studied French at Laval University's immersion programme in Quebec City. A successful pioneer of the organic agriculture movement, Orchard has raised his wheat, oats, barley, canola and alfalfa crops without herbicides, pesticides, chemicals or genetically modified organisms (GMOs) since 1975. Over the years he has expanded his farming operation to over 2500 acres, roughly 25% of which he maintains in natural forest and prairie habitat. In 1985, Orchard was a founder of Citizens Concerned About Free Trade (CCAFT), a non-partisan citizens organization concerned about the effects on Canadian sovereignty of the free trade agreements with the U.S. (FTA and later NAFTA). A nationwide mobilization led by CCAFT convinced the Canadian Senate to block the proposed FTA in 1988, forcing a general election on the issue, in which a majority of Canadians cast their ballots for parties opposed to the FTA. In 1993, he authored the best-selling book, The Fight for Canada: Four Centuries of Resistance to American Expansionism (Stoddart, 1993; 2nd ed. Robert Davies, 1999), also available in French as Hors des griffes de l'aigle: Quatre siècles de résistance canadienne à l'expansionnisme américain (Robert Davies, 1998). The dean of Canadian historians, Kenneth McNaught, described Orchard's book as "distinctly moving" and "forthright and carefully researched," adding, "...in an era of crumbling federal states, or reinvigorated ethnicity and tribalism, and of enormous pressure to seek shelter in harmonizing economic blocs, it is time to talk a little about love of country. Orchard does this intelligently, perceptively. Moreover, he has taken the trouble (a great deal of it) to provide a convincing historical analysis of the struggle waged by generations of Canadians to maintain their right to forge a society different from - and perceived by them as more humane than - that of their republican neighbour." Noted American historian, Howard Zinn, described The Fight for Canada as "...devastatingly accurate...a fine piece of research and written with the kind of clarity that makes it accessible to a large public, which it deserves." Adam Zimmerman, retired chairman of Noranda, said, "Orchard has demonstrated an intellectual grasp of issues that few people understand. This book gives him enormous standing. The scholarship is amazing and the logic compelling. Read it and you'll be the better Canadian for it." Former Prime Minister Pierre Trudeau, commenting on the pre-publication manuscript, called it "a masterful treatment of the early history of Canada." David Orchard is an opponent of both Western and Quebec separatism and a strong defender of the French and Aboriginal facts throughout Canada. He actively campaigned against the Meech Lake and Charlottetown Accords, because of what he referred to as their "mortal weakening of the national government - the only institution that speaks for all Canadians." Orchard has a strong track record as an environmentalist who walks his talk. He has played a significant role in the opposition to the burial of nuclear waste on Canadian soil and to the clear cutting of our forests. He has an active commitment to clean air, food and water. His passion for the protection of the environment, wild life, and Canadian heritage sites is well known. David Orchard advocates a Canadian foreign policy designed to serve Canada's interests. A strong defender of international law, he has opposed the bombing and occupation of Iraq, the bombing of Yugoslavia in 1999 and of Afghanistan in 2001. He sees these actions as violations of international law and the U.N. Charter. He is a proponent of rebuilding Canada's military to be an effective protector of our territorial integrity and of keeping our armed forces under Canadian command. In 1998, David Orchard ran for the leadership of the Progressive Conservative Party of Canada, placing second to Joe Clark. He campaigned on the issues that had brought him to public life: defence of Canada's sovereignty, protection of the environment and the democratization and reform of our electoral system, including its financing. His campaign drew into the party a wide range of Canadians, among them Bob Blair, "the man who built Nova Corporation"; singer-songwriter Stompin' Tom Connors; writer Margaret Atwood; Noranda's Adam Zimmerman, and concert pianist Anton Kuerti, to name only a few. After the 1998 leadership race, Orchard worked across the country to help rebuild the Progressive Conservative Party. In the 2000 federal election he was the PC candidate in the riding of Prince Albert. Although not elected, he received the highest percentage of votes of any PC candidate in the province of Saskatchewan. 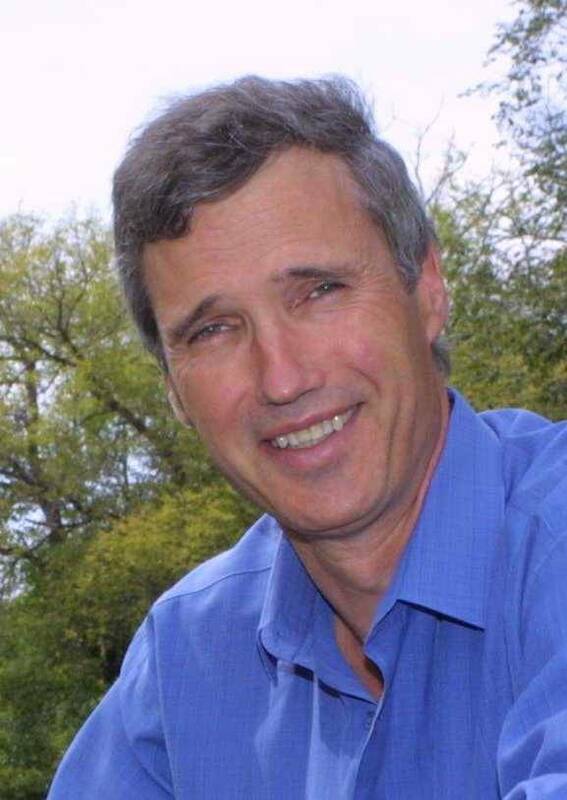 In 2003, David Orchard ran again for the leadership of the Progressive Conservative Party and went in to the leadership convention with the second highest number of delegates. After receiving a signed agreement from Peter MacKay stating that if he became the leader, he would uphold the PC Party constitution and not merge the party with the Canadian Alliance or run joint candidates with that party, undertake a review of NAFTA, and make environmental protection, sustainable agriculture, forestry and increased rail transportation policy priorities, Orchard advised his delegates to vote for MacKay on the final ballot thereby ensuring MacKay's victory. When MacKay went back on his word and began merger talks with Stephen Harper, David Orchard was a leader of the fight (ultimately unsuccessful) to prevent the merger from taking place, including going to court to protect the rights of Progressive Conservatives. In 2005, Orchard joined the Liberal party and campaigned actively against the new "Conservative" party, which he saw as the outcome of a hostile takeover of the old Progressive Conservative party. In 2006, Orchard played an active role in support of Stephane Dion's leadership bid. In 2008 he won the Liberal nomination in the northern Saskatchewan riding of Desnethe-Missinippi-Churchill River. He placed a strong second in the subsequent 2008 federal election. David Orchard is a frequent guest on radio and TV programmes and debates. His articles appear in Canada's major newspapers.